Cosy up this winter with this delightful Father Christmas Mug! 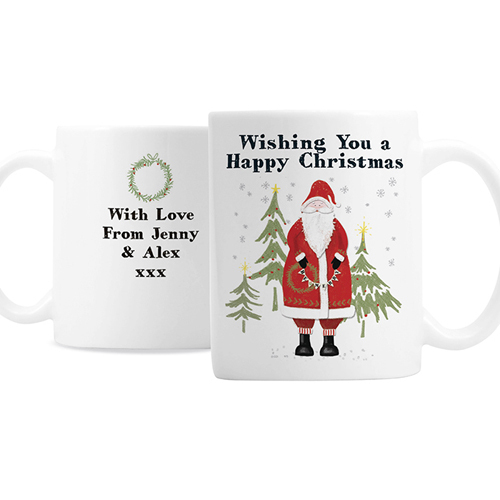 Personalise the front of this Father Christmas Mug with 2 lines of text up to 15 characters per line. On the reverse you can add a further message over 4 lines of up to 15 characters per line. All personalisation is case sensitive and will appear as entered. Personalise with 2 lines of text up to 15 characters per line. On the reverse you can add a further message over 4 lines of up to 15 characters per line.